Walk through forests of giant daisy trees, see ancient turtles wander through meadows, and enter a world where animals have no fear of people. This isn’t a fantasy, it’s the Galapagos. 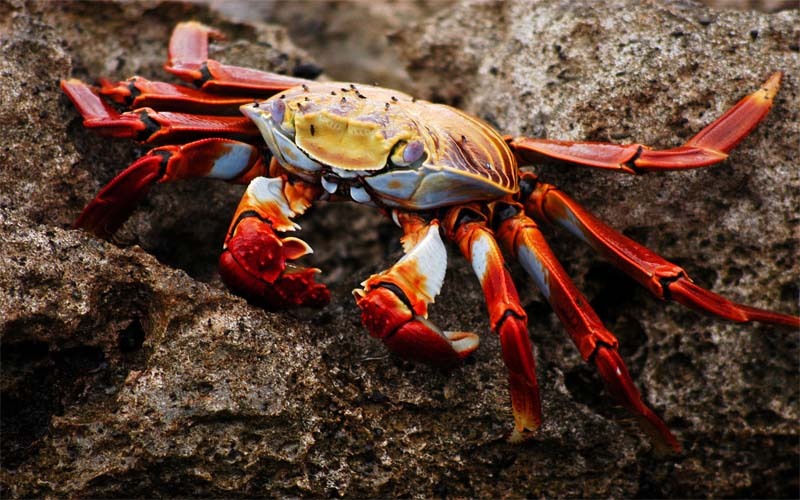 Ladies, join us on an unforgettable journey on our Galapagos women’s trip. 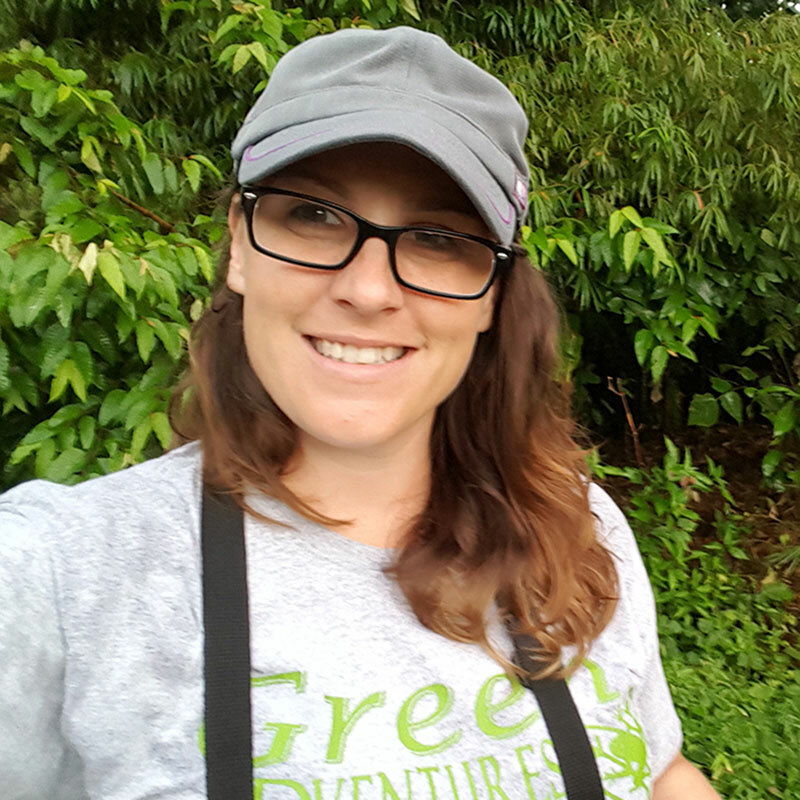 This is a fun, educational, active adventure for women to explore the Galapagos with new adventure buddies and future life-long friends. Daily excursions include snorkeling trips, birding, and nature walks will introduce you to various habitats from humid highland forests, to lowland marine desert, and white sand beaches. Wildlife we anticipate to see include: 2 species of giant tortoises, marine iguanas, land iguanas, various sea turtles, white tipped sharks, eagle rays, flamingos, blue-footed boobies, Darwin’s finches, and possibly penguins. No previous experience required. 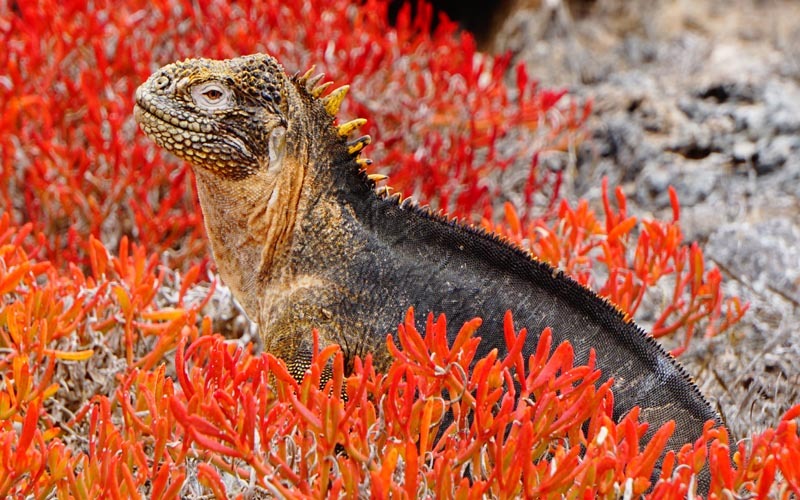 Our Galapagos women’s trip is designed for the beginner in mind. It is the perfect balance between land and water actives, and outdoor adventure and R&R. 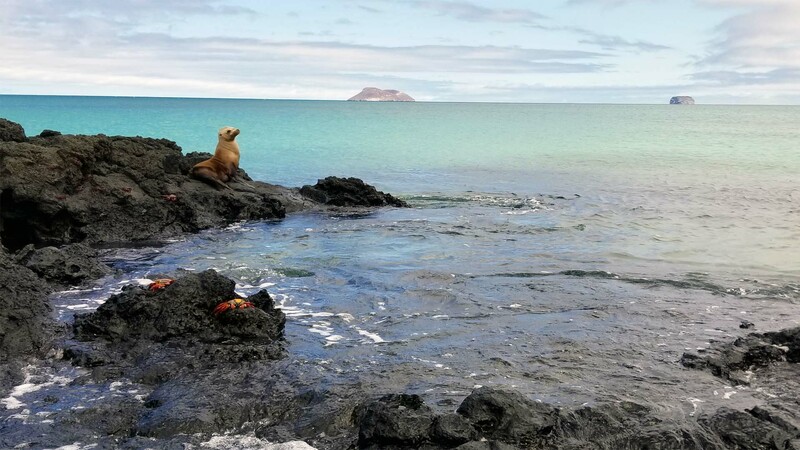 The Galapagos Explorer adventure for women is based in Santa Cruz and includes several day trips by catamaran to the islands of North Seymour, The Plazas, and Bartolome Island. Mid way through, we move to Isabela Island to and spend 2 nights exploring above and below the waterline. As a land-based trip, you will have the freedom and flexibility to explore, shop, and people watch in Puerto Ayora at the end of each day. The hotel in Puerto Ayora in Santa Cruz is located conveniently within walking distance of Tortuga Bay, the Charles Darwin Research Station, the fishing port, markets, and other cultural points of interest. There is also the option to hang out by the pool, too. Visit 4 different islands in the archipelago to learn about how species have adapted to survive in these extreme environments. Hike trails through other-worldly habitats like the Scalesia Forest, these trees are giant Daisies, and they are so abundant in the highlands, they have an eco-zone named after them. 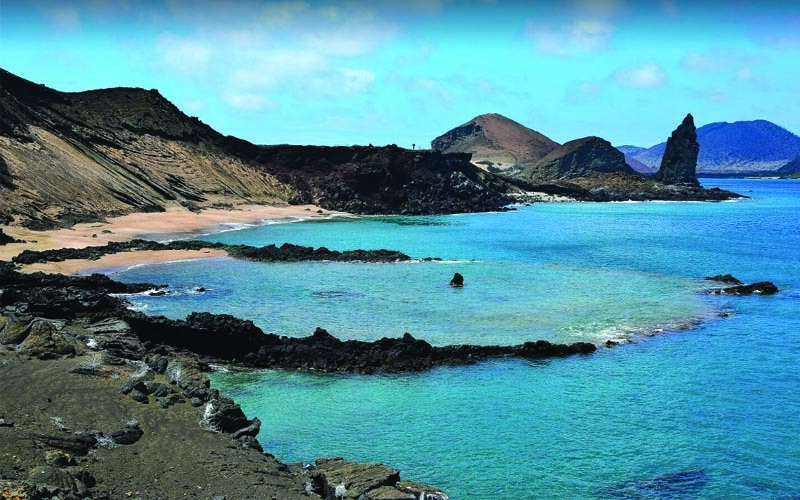 Snorkel a variety of sites on different islands with amazing marine life like schools of fish, sea turtles, marine iguanas, white tipped reef sharks, sea lions, and possibly manta rays or penguins. 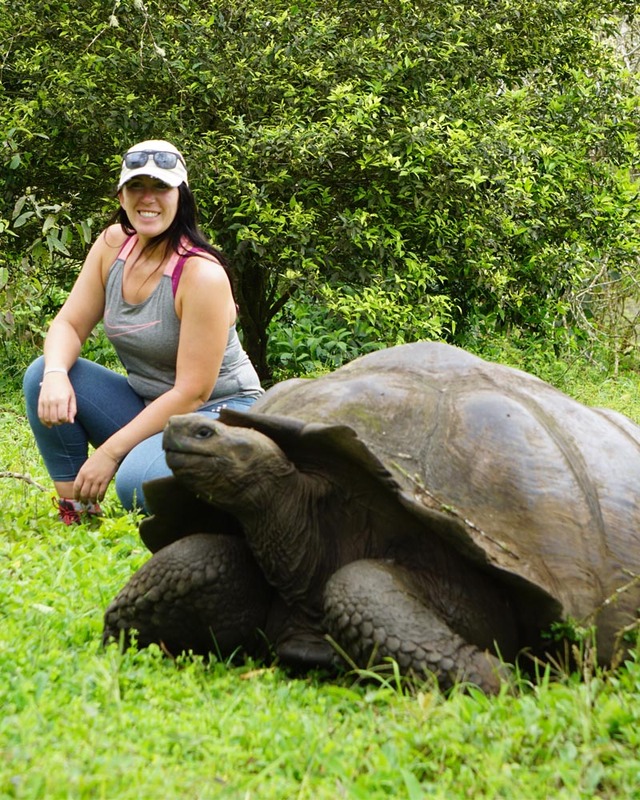 See giant Galapagos Tortoises in their nature habitat. See a variety of bird species like Blue-footed Boobies, Magnificent Frigate Birds, Flamingos, and all of the species of finches Darwin researched to help him write Origin of Species. Guided city tour of the historic district of Quito to learn about the architecture, culture, and history of the city. Visit the Mitad del Mundo (Middle of the World) exhibit and participate in science experiments that can only be done at the Equator. Fly to Quito, Ecuador. Typically, flights will arrive late at night and participants should have dinner at the airport on the way to Ecuador. Overnight at Hotel San Jose Puembo, or similar. Note, travel parameters will be provided. After breakfast, we experience our first adventure to Tortuga Bay. 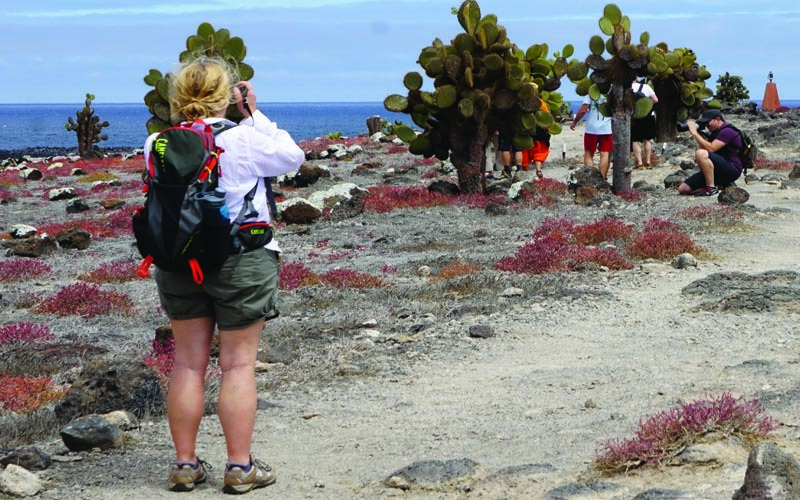 Participants will walk the paved path through the arid zone with its giant cacti ending up at Tortuga Bay, a white sand beach where sea turtle nest, marine iguanas sun bathe and shore birds feed. We continue down the beautiful beach to the mangroves and tidal pools. These calm waters give us a perfect place to learn snorkeling skills. Floating along the rocks in two feet of water is very rewarding. Many invertebrates like octopuses can be found here, and it will be an opportunity to snorkel with swimming Marine Iguanas! The group departs at 8 AM from the hotel by bus, heading north towards to Itabaca Channel, followed by hopping on the catamaran to cruise to Plaza South Island. It is one of the smaller islands of the Galapagos which visitors are able to reach, located close the eastern coast of Santa Cruz. After 1 ½ hours, Plazas welcome travelers with a bright colorful red and green carpet of Sesuvium, an endemic plant, spread over the Island, joined with the loud, friendly barking of several sea lion families which have settled down on the shore of the channel between North and South Plazas where the yacht anchors. The turquoise water of the ocean jars perfectly with the white shining beaches and the black lava rocks of the coast. 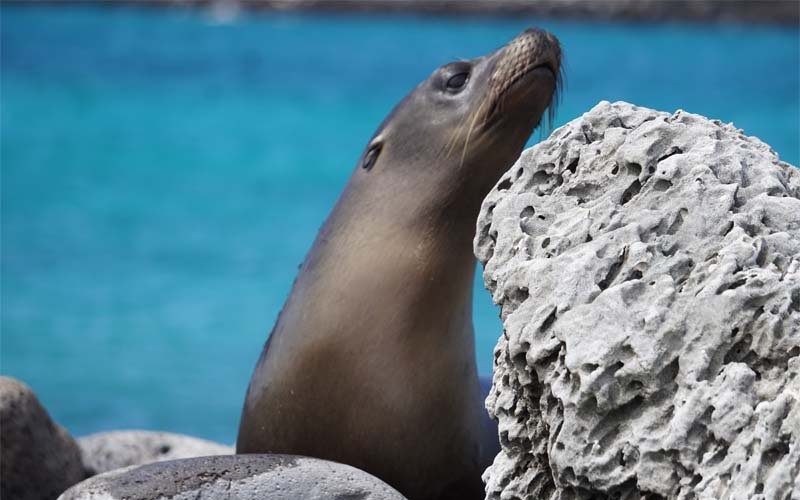 Once on the island, the hike is easy and goes alongside relaxing sea lions and Land Iguanas which are a round most of the Island. This leads to the highest cliff where swallow-tailed gulls cross the air screaming. At the same time, tropical birds, blue-footed boobies, and other marine frigate birds glide gently in the wind. The view from the highest point over the ocean and the powerful waves breaking at the cliffs is an experience that visitors will not forget. Afterwards the trip continues to Punta Carrion where lunch is served on board the ship. This is a great spot to for your first boat-based snorkel and swim among rays, sharks and hundreds of colorful tropic fish. Return to hotel for dinner. (BLD). You will be picked up from the hotel at 8am and taken back to the Itabaca Channel (you will get to know this route well) where the staff of your boat will be waiting for you. The trip will take around one hour and close to your arrival you will be able to spot grey shapes from the Bursera Graveolens trees, that almost never carry any leaves. Seymour was created many million years ago due to the elevation of tectonic plates and the island has a flat shape with many small cliffs that serve as home for the local seabirds. Swallow-tailed gulls and frigate birds overfly the island, frigate males showing their big red throat pouches to find their mate. Meanwhile along the path, many blue footed boobies will be nesting or executing their mating ritual in which they dance and whistle in a very unique way. It is also common to see these birds flying near the coasts looking for food and dive into the water at high speed, a stunt that they are only able to perform due to a special waterproof protection on their wings. 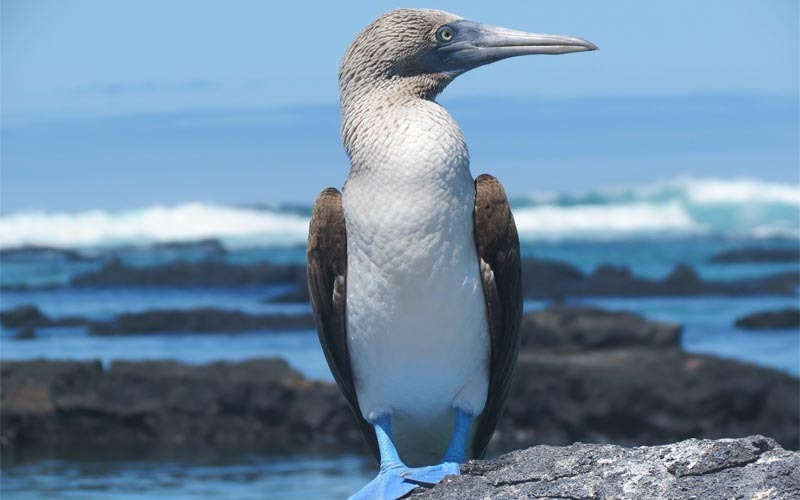 Seymour is probably the island which best represents the known Galapagos species, as you will also be able to see sea lions, sea and land iguanas, pelicans, royal frigate birds and many others. After a two-hour speed boat ride, we will arrive to Puerto Villamil in the south of Isabela, the largest island of the archipelago. This island might be your favorite for its diversity, but we will let you decide. Embark on a short navigation to Las Tintoreras, a chain of small islets located in the south of Puerto Villamil, Isabela. 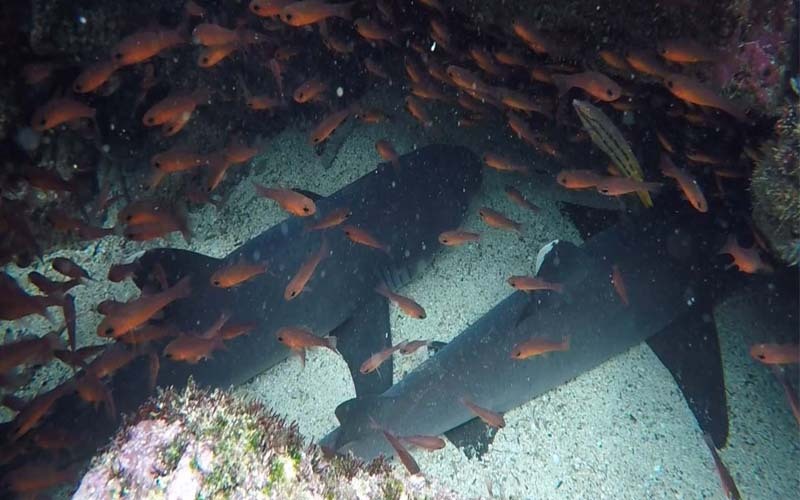 This biodiverse site is home to the white-tipped sharks (Tintoreras), sea lions, marine turtle, iguanas, manta rays, and more. Galapagos sea lions, marine iguanas, blue-footed boobies, sea turtles, pelicans, and Galapagos Penguins can all be found in this site. 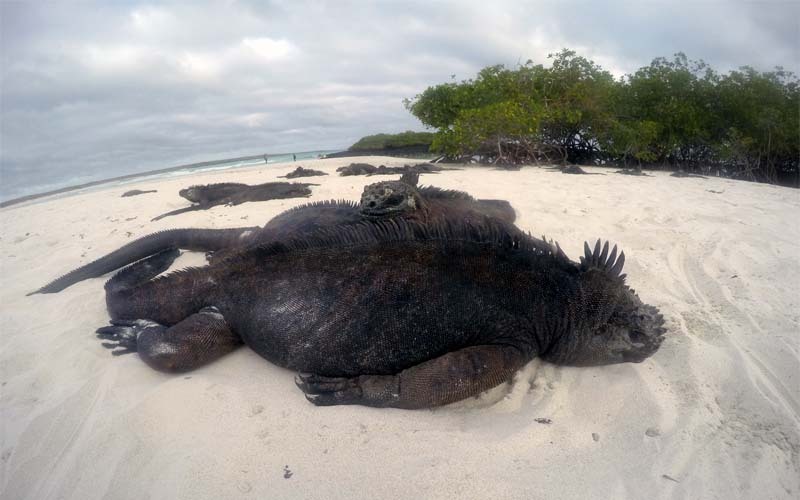 It is also one of main breeding sites for marine iguanas, and a great spot to get a close-up with them. After a hike around the islet, get back on the boat and cool off by snorkeling in the waters nearby. 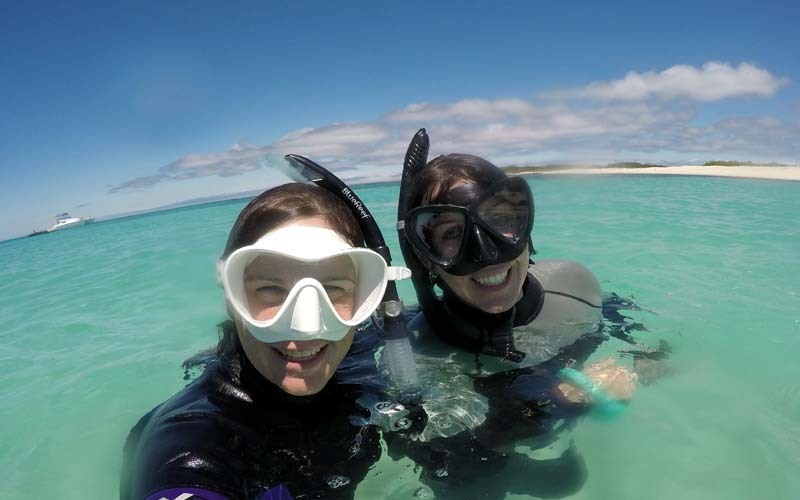 Swimming next to multicolor fish, starfish, sea urchins, and with luck stingrays, sharks, and sea lions is a major highlight in this adventure. Return to hotel for dinner. (BLD). This morning we will ride on a fast boat to the west of Isabela, towards Cabo Rosa where the area known as the Tunnels is found. This is an extensive lava flow formed by long and numerous lava tubes with collapses that result on beautiful basaltic arches surrounded by pristine turquoise waters. Here, we will have a short walk looking for marine life and birds from the land and then snorkel. 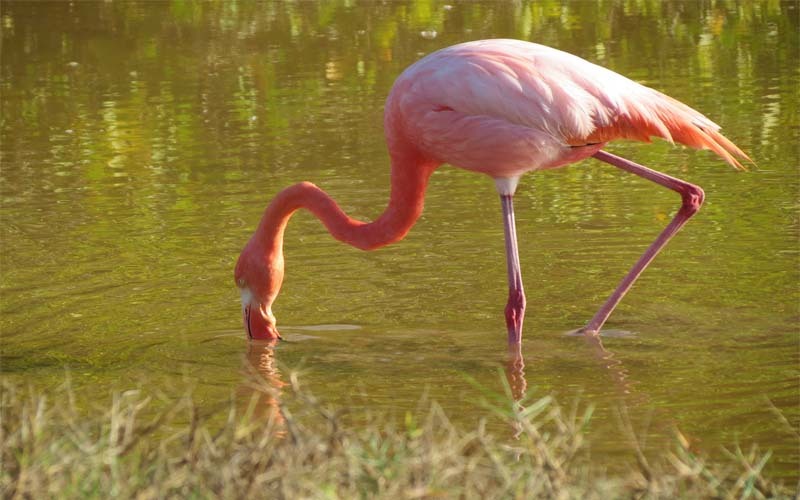 This site is home to sea turtles, albatrosses, flamingos, iguanas, sea lions, blue-footed boobies, royal frigate, manta rays, penguins, sea lions, sea turtles, a variety of birds, lobsters, sea snakes, among other species. — a great last excursion in the Galapagos. Dinner at the hotel. (BLD). Early breakfast at the hotel and then take a speed boat back to Santa Cruz. Once in Santa Cruz the bus will take us to the Canal Itabaca and from there will take another bus to the airport. From the airport in Quito we will have a short rest before going on historical city tour of Quito. Dinner in the historic center. (BLD). The Mitad del Mundo (Middle of the World) is found in Pomasqui on route to the airport. On the way there, you will have the opportunity to stop off to taste the exotic flavors of the helado de paila, a type of ice popsicle made with local fruit following recipes more than 50 years old. The monument of the Middle of the World houses an ethnographic museum, which gives an introduction to the different ethnic groups that live in Ecuador. Outside the monument, you will have the unique photo opportunity to pose for pictures with one foot in each hemisphere! The monument is part of a large complex surrounded by local handicraft stores. You will also find busts of members of the French Geodesic Mission who visited Ecuador in 1736. All guided activities and equipment. Double occupancy rooms 3 star hotels. Most meals (minus 1 dinner, 1 lunch). Local guide and tour leader. Installments: Five payments of $720 starting Feb 15-July 15, 2019. Travel parameters will be provided.